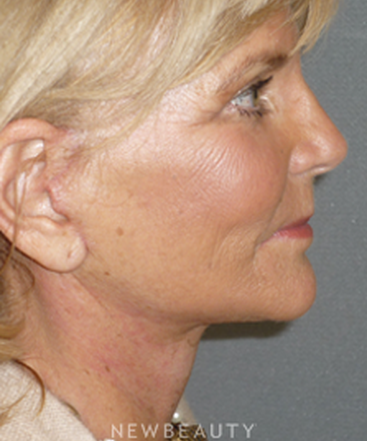 Regarded as the “un-plastic” plastic surgeon, Dr. Davis B. Nguyen is touted for his conservative approach to facial rejuvenation and the rigorously natural results he achieves. Through a unique combination of deft surgical skill, a keen artistic eye and congenial bedside manner, Dr. Nguyen consistently earns high praise from his patients and their numerous referrals. 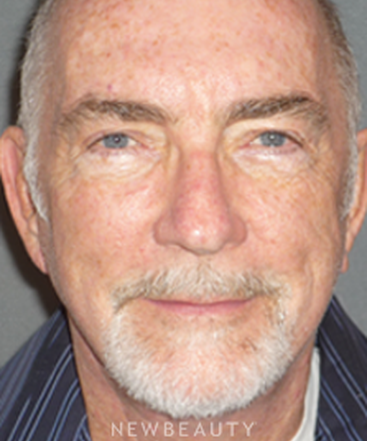 “I believe that the best outcomes are achieved when both the patient and the surgeon share a common objective and establish a consensus regarding aesthetic taste,” he says. 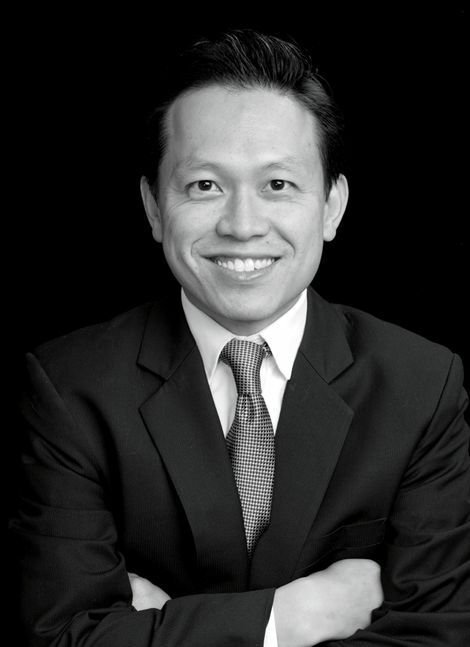 Dr. Nguyen maintains a busy practice in Beverly Hills, with satellite offices in Manhattan, Greenwich, Connecticut, and Newport Beach. 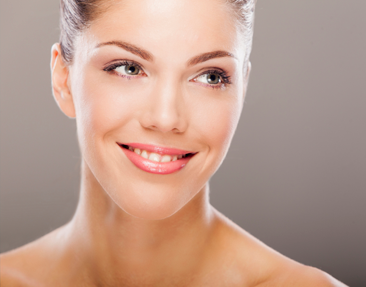 I believe the best kind of cosmetic enhancement is one that adds balance and preserves the natural features. What fascinates you about the face? 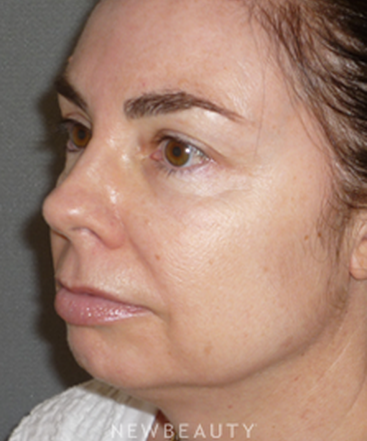 I am continuously fascinated by the unique beauty of each of my patients' faces. I address each person's specific needs and then tailor my approach to achieve their individual goals. I think my practice is distinguished by my education. I've trained at some of the most highly respected institutions in the world. I completed a research fellowship in minimally invasive surgery at Harvard and trained in head and neck surgery at Yale, where I served as chief resident. I also did a fellowship under Dr. Frank M. Kamer at the Lasky Clinic in Beverly Hills. I stayed on as his associate until he retired. I don't like to change a person's face. I prefer to enhance and balance their natural features. 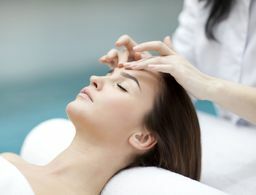 My technique is to rejuvenate a patient's appearance while maintaining his or her individual character and expression. Achieving a natural aesthetic is my paramount objective. The best results are achieved when balance is restored without evidence of surgical intervention. Why did you pursue plastic surgery? It blends the technical with the creative. I love to work with my hands, and I also love being an artist. 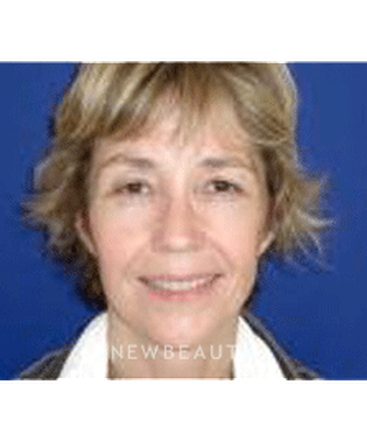 It gives me great pleasure to enhance my patients' natural beauty by restoring balance and proportion to their features. "Dr. Nguyen is an artist of the human aesthetic. His genuine warmth and caring demeanor are only superseded by hisskill as a surgeon. I am proud and honored to call him a friend." He thought only of my best interests. 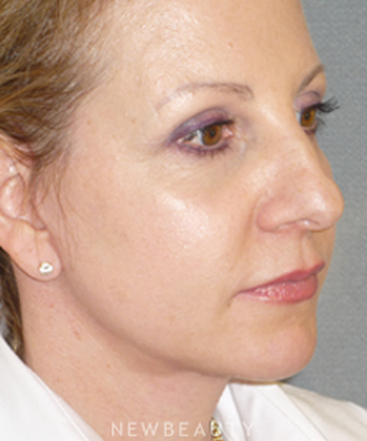 "For anyone seeking plastic or cosmetic surgery, our hopes are high. However, when the surgery does not give us the result we were hoping for, the outcome can be devastating; a botched surgery can decrease our personal confidence and leave emotional scaring. I first came to Dr. Davis Nguyen in August 2008 seeking revision surgery from a previous operation. Hoping to ensure that I found the best doctor possible to do my revision surgery, Dr. Nguyen was the fifth doctor that I consulted with. From the moment I walked into his office, I felt treated pleasantly differently than from other doctors that I had visited. His staff gave me a personalized welcome; complete with taking my drink order, and then Dr. Nguyen personally came out to tell me that he was running a bit behind schedule. When it was my turn to see Dr. Nguyen, he was attentive toward my emotions and genuinely tried to understand not only my stress and despair, but also exactly what I wanted corrected. What impressed me most about Dr. Nguyen was his meticulous attention to detail. Before I could even begin to explain what was bothering me from the previous operation, Dr. Nguyen had already begun to take notes and explain what he felt needed to be corrected. I was amazed when he pointed out everything that had been bothering me! 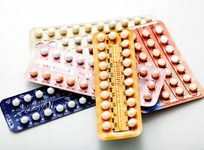 Dr. Nguyen even noticed a detail that none of the previous doctors had noticed; a tiny detail that had been bothering me but that had to be pointed out by me to previous doctors because it had escaped their observations. It is this attention to minute detail that convinces me of Dr. Nguyen’s ability to conscientiously respond to each individual patient’s unique needs and wants. I diligently counsel anyone considering plastic or cosmetic surgery to have a doctor like Dr. Nguyen who is able to pay close attention to the fine points because it is this thoroughness that defines the difference between a sloppy operation and a stunning procedure. Compassion is one of the best traits a medical doctor can have, but unfortunately, is often the most lacking. Following my failed operation, when I told my previous doctor that I was unhappy with the results, he was unsympathetic to my plight and didn’t care that I was unhappy. This insensitivity can be brutal. Dr. Nguyen was very kind with me and understood how sad I was about the botched surgery. Dr. Nguyen instilled hope in me by patiently explaining that there were many options available for me and he would help me explore them all. Based off of Dr. Nguyen’s impressive credentials, attention to detail, understanding toward his patients, and ability to build a strong rapport with his patients, I choose him to do the revision. When I told him that I wanted him to do the revision, I was surprised when he refused. Dr. Nguyen refused to operate on me because he did not consider his own self-interests; rather he thought only of my best interests. Dr. Nguyen felt that my particular case required a different doctor than himself and he took it upon himself to find me the best doctor available for me and my situation. Dr. Nguyen then personally made the appointment for me so that not only could I be seen the very next day with the new doctor, but also allowed me to avoid a four-week wait period. It’s been one year since my consultation with Dr. Nguyen. Unfortunately, I had to put off the operation because I left the area to pursue graduate study. Taking advantage of my summer break, I recently scheduled my operation with the doctor that Dr. Nguyen had recommended and I look forward to being able to once again look at myself in the mirror without pain and regret. During this interim period, Dr. Nguyen has served as a supportive medical mentor and advisor. Dr. Nguyen understands that the decision to have an operation, any operation, whether revisionary or not, can be nerve-wrecking. Although I’m not his patient, Dr. Nguyen has encouraged me, and continues to encourage me to contact him with any and all questions and concerns I have about the pending operation. I’ve perhaps abused this privilege by sending numerous emails and constantly calling his office to speak with him, yet Dr. Nguyen has responded to every email I’ve sent him and has returned all of my calls. Dr. Nguyen has never gotten impatient with me and is always eager to address my questions and concerns, and repeatedly tells me: “I want you to be happy with your results; that’s what’s most important.” Now, I am scheduled to undergo corrective surgery next week with the doctor that Dr. Nguyen had recommended. With Dr. Nguyen’s help and support, I am convinced that I’ve found the best doctor for my needs and am hopeful for a positive outcome. I’m convinced that none of this would have been possible without Dr. Nguyen’s sensitivity. I am pleased to recommend him without reserve. When you choose Dr. Nguyen, you’ve chosen the best in terms of finding a committed doctor who has your desired outcome as his top priority . . .and you’ve also assured yourself a magnificent end result that you are sure to be happy with—Dr. Nguyen will make sure of it." Referrals thank me for finding him. 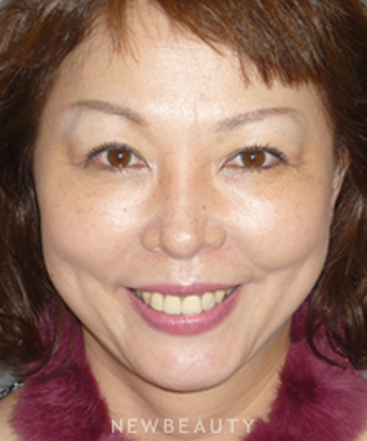 "Dr. Nguyen is one of the most professional and caring doctors that I have ever met. Recently I sent a referral to his office who ended up with a couple of procedures. She told me, ‘I will be using Dr. Nguyen for the rest of my life!’ I thought the days of Dr. Welby were over, but he is a doctor who calls his patients more than once after the most minor of procedures—sometimes as a doctor and often as a friend. At a recent open house party at his new office, I looked around and everyone looked younger and natural. All nine of my most recent referrals thank me for finding him." "I am a 35 year old asian male with a typical flat bulbous nose. 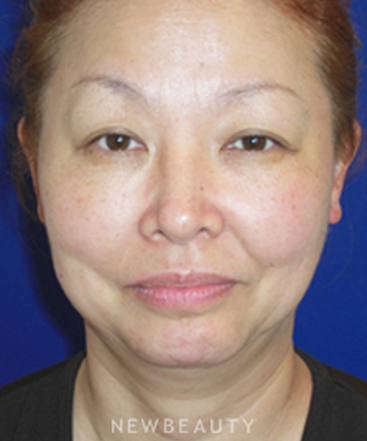 Dr. Nguyen was able to make subtle changes that improved my appearance tremendously. My self confidence and esteem significantly increased. His office is filled with such down to earth people who genuinely cared about my procedure. Dr. Nguyen is a class act who is extremely talented and yet so humble. He is IVY league trained and has practiced with the best facial plastic surgeons in the world. The most amazing thing about him is his sense of compassion for his patients. He even makes house calls! He follows up with me even though I had the procedure done in 2005." 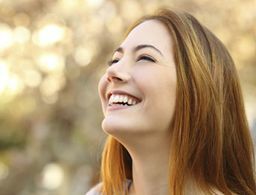 "From the moment I arrived at Dr. Nguyen's office to explore the possibility of a neck lift, I felt cared for by his knowledgeable staff. During this exploratory meeting, Dr. Nguyen went over in detail the expected results as well as what he would do to achieve this. All of the arrangements and preparation details were handled professionally (and without drama) by Dr. Nguyen's team. The post-op follow up was immediate and thorough, and conducted by Dr. Nguyen personally, sensitively and with old-fashioned bedside manner. I am extremely pleased by the results and would not hesitate for a moment to recommend the Linden Clinic and Dr. Nguyen. After meeting the doctor and seeing his work, my son Nicholas summed up his expertise with "He's an artist, Dad!" “A very large melanoma appeared in the middle of my left cheek and one almost in the middle of my forehead. Surgery was my only option and I was very aware of how disfiguring it could be. I knew I needed a doctor very skillful in reconstructive surgery, so I went to meet with Dr. Davis B. Nguyen. 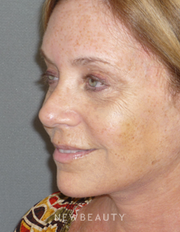 Melanoma surgery is done in three phases. First, there is the removal of the cancer, then a wait for pathology reports, and then the major reconstruction. The surgery was long and arduous, but the outcome is a Cinderella story. The compassionate care I received all through the ordeal was remarkable and I am truly grateful. The results are amazing. My face is restored and, I might add with great delight, I am a younger looking and more attractive me. Thank you, Dr. Nguyen. Every visit is a joy. 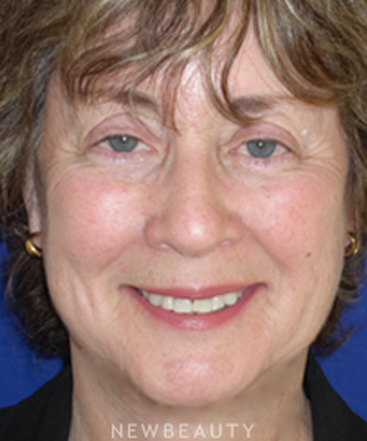 "I am a 55 year old woman who has had her fair share of medical procedures over the years. Never, in all those years, have I met a doctor quite like Dr. Davis Nguyen. He is without question, the most compassionate, caring and skilled surgeon I have had the good fortune with whom to be associated. The cosmetic procedures Dr. Nguyen performed on me were flawless with none of the tell-tale signs we all have seen from cosmetic surgery. I simply look fresher and, frankly, quite a bit younger following both my surgical and laser treatments by him. All of his patients, whether celebrities or not, are treated with the same personal attention and care. 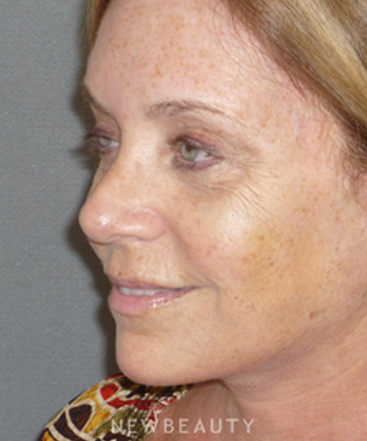 Both my mother and I have also needed his skill for non-cosmetic procedures, each of us having melanomas. My mother required extensive reconstructive surgery on her face. As a result of Dr. Nguyen's skill as a surgeon, my mother is as beautiful today as she was prior to the procedure. He personally visited her every day to change her dressings. How often do we see this, given today's impersonal medical environment? While I live close to New York City, where there are hundreds of plastic surgeons, I will travel across the country to see Dr. Nguyen, as would my mother. Dr. Nguyen has assembled a wonderful staff that makes you feel as if you were a member of their own family. I am not a person who normally writes testimonials, but my experience with Dr. Nguyen has compelled me to tell you how I feel. Dr. Nguyen is not only a perfectionist in terms of his skill, he is the most nurturing doctor I have ever met. This is a wonderful and rare combination." "Dr. Nguyen is the most professional, wonderful doctor I've ever known! And besides that, he's warm, engaging, interesting and fun. He's a pleasure to know. I believe that he genuinely cares about every one of his patients. His professional expertise and skills are the best I’ve ever experienced. When I considered surgery, Dr. Nguyen was available for every question and/or concern, with patience and understanding. I couldn't be happier with the results of my surgery. It's above and beyond my expectations. He insists on frequent follow up visits to be certain the healing is progressing the way it should and that you are happy with the way you look. His attention to detail is exemplary. I get compliments daily about how great I look. Especially when I mention my teenage grandchildren. Most of them don't know I've had surgery because I look very natural and un-lifted. When I tell people I've had surgery they want to know all about it and I'm more than happy to share my experience. I have absolute trust and admiration for Dr. Nguyen. His vision is perfection. And his staff is the best ever. They are friendly, pleasant and very efficient. I give them all five stars!" "I am writing this testimonial in the hopes that it will help people who are undecided as to which plastic surgeon to consider for themselves. Over the past few years, Dr. Nguyen has been my doctor. I am so very pleased with the way I look now, as a result of his ability to give me such a natural and youthful appearance. When people who haven't seen me in awhile see me, they cannot get over how well-rested and glowing I look. They have never guessed that I have had a face lift. Dr. Nguyen impressed me from the first time I met him because of his sincere, caring and trusting nature and personality. When I see him for an office visit, he always gives me his full attention, and I never feel rushed. He is a perfectionist in his work and a true gentleman and friend to his patients. I highly recommend his services." 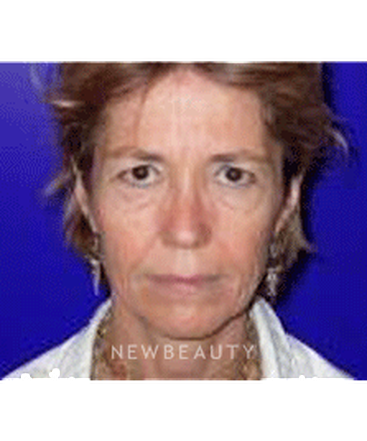 "I am extremely happy with my face augmentation. I look refreshed and natural and everyone tells me I look 10 years younger! Dr. Nguyen is very professional, personal, up front and discreet. He and his staff are very knowledgeable, friendly and caring. The office is always very clean and inviting. My expectations were definitely exceeded! I am so happy I made the decision to have this surgery." 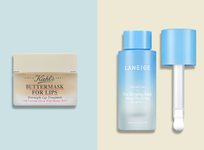 The results are more than amazing. "Dr. Nguyen and I first met four years ago, and I immediately felt comfortable with him and his professional staff. I trust him implicitly and find him to be exceptionally knowledgeable and informative, having a pleasant and highly professional manner. He is extremely talented. I consider Dr. Nguyen a good friend and have similar feelings for his well-informed and delightful staff. Trust in a doctor has to be earned. Dr. Nguyen has gained my full trust and I would and have highly recommended him to anyone considering his services." Knowledgeable about all the procedures he performs. 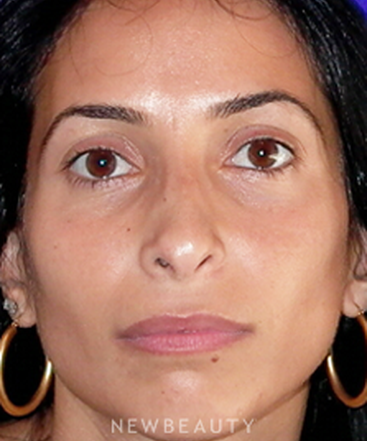 "I have been a client of Dr. Nguyen since 2007 and before that have been to various Beverly Hills plastic surgeons. I immediately felt so comfortable with Dr. Nguyen and his staff; he is so knowledgeable about all the procedures he performs. 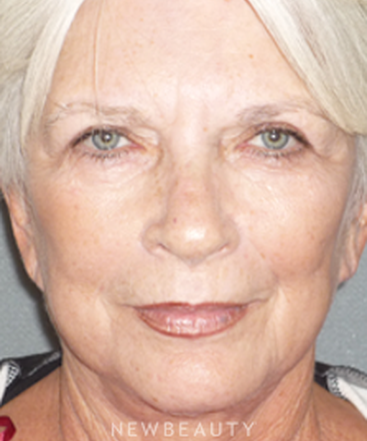 During the past 3 years I have had two procedures, people are always complimenting my skin and how young I look, so much that I have referred five new clients to him who are also thrilled with their results. Dr. Nguyen is also an extremely generous man, I'm heavily involved with animal welfare and he never turns me down when I ask him to donate his services for a fundraiser to help dogs and cats get rescued from our shelters. I highly recommend Dr. Nguyen to anyone wanting to feel better about themselves. He is awesome!" 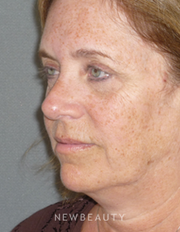 "I came to this office with a friend who had gotten Restalyne and today we came in for her follow up, Dr. Nguyen saw a few spots that needed some more filler and listened to what my friend thought she needed as well and did everything she asked for at no additional charge, said it was part of the follow up.... How wonderful! This is a great office, you are greeted by Jessica who is fun, supportive. And knowledgable and I found Dr. Nguyen to be incredibly accommodating and professional. I just had Juvaderm somewhere else and experienced pain and the Doctor left me unfinished and frankly I wish I had paid a bit more and gone to Dr. Nguyen in the beginning!" "One word...PERFECTION!!! Dr. Nguyen was born to make woman smile. From the second you walk through his doors you know you are in good hands. His work is unbelievable. I am 1 of 3 generations of woman who see Dr. Nguyen...enough said." "Dr. Davis Nguyen is by far the best surgeon I have ever been to. After many years and my fair share of experience with plastic surgery I can honestly say he is the most talented and attentive doctor I have ever had. I first visited him in his office in Beverly Hills after being referred to him by a friend of mine who is in the entertainment industry. I instantly felt comfortable with him and his staff. He is not slick and rough like some of the Beverly Hills surgeons I have met. 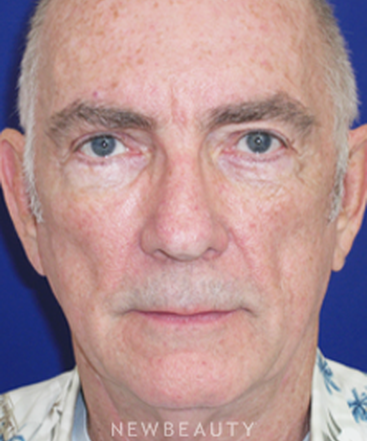 He is gentle and down-to-earth, especially for a Yale trained doctor. (He is also board certified in Facial Plastic Surgery----which is VERY important.) I booked a facelift with him right away. My results are incredible. I look like myself about 10 years ago. He has been my doctor for the last 4 years now. 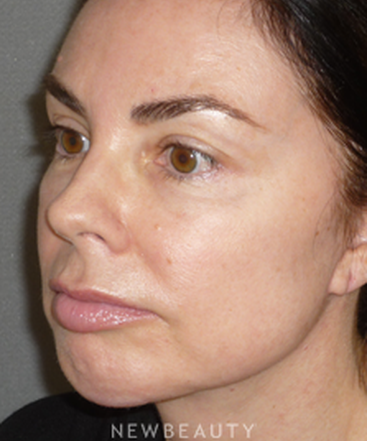 I also see him for my botox and fillers to my lips and cheek areas, as I did not want cheek implants. I would highly and confidently recommend him to anyone." I was extremely happy that I chose him to be my doctor. 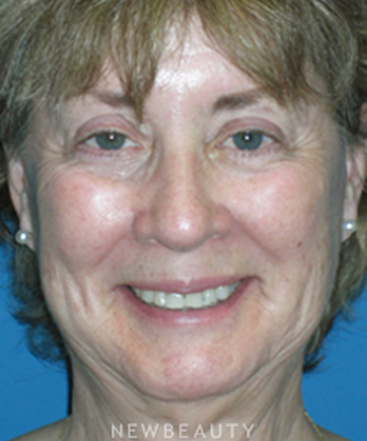 "My time with Dr. Davis Nguyen was an excellent experience. His work is amazing and he is an amazing surgeon. I was very nervous going into surgery, but he reassured me that everything was going to be fine. After seeing what an amazing job he did, I was extremely happy that I chose him to be my doctor." "In short, I had a great experience as a patient of Dr. Nguyen’s. 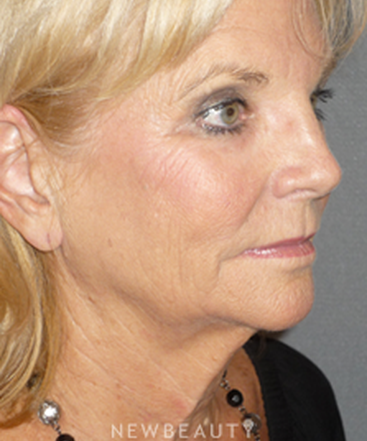 I couldn’t be happier with the results of my face, neck, and browlift – friends are astonished and think I look years younger. The quality of the stitches was tremendous and you can’t even see my incisions. Most importantly, I appear natural and still look like myself, just more youthful and attractive! The office staff was wonderful, supportive, and knowledgeable. The aftercare provided by Dr. Nguyen and his office is unsurpassed- he even made housecalls! Overall, he is the most accessible and communicative doctor I have ever had the pleasure of seeing." He is simply an artist. 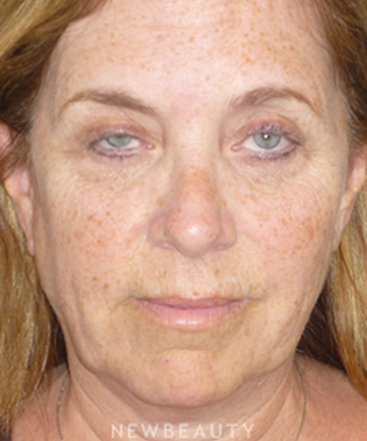 Unhappy with the drooping brow and heavy jowls that made her appear sad and tired, this 60-year-old patient underwent a browlift, facelift and necklift with Dr. Nguyen. 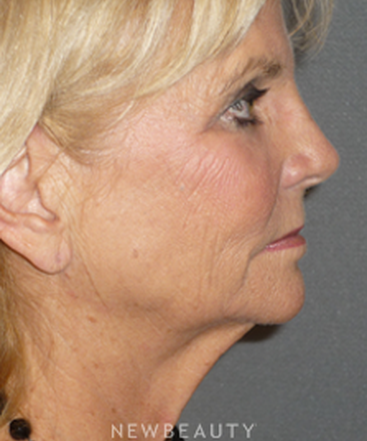 “We were able to give her a more attractive and youthful appearance, create the impression of weight-loss and subtract years from her overall look,” Dr. Nguyen says. 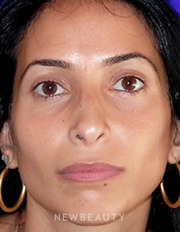 To balance asymmetry from a previous nose job, Dr. Nguyen performed a revision rhinoplasty on this 38-year-old patient. 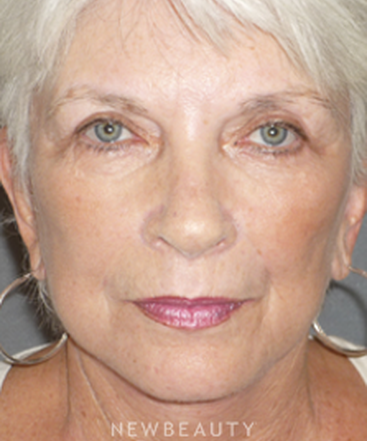 “Despite prior surgery, her nose still appeared harsh and large in comparison with the rest of her features. 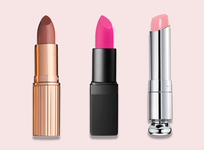 The subtle refinement we achieved gives her a softer and more attractive appearance,” he says. 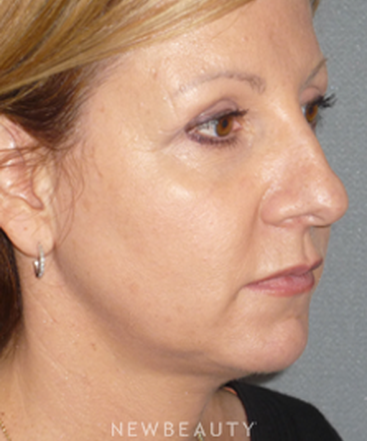 Using Restylane® and Botox, he was also able to treat her face comprehensively. I don't perform fat transfer. 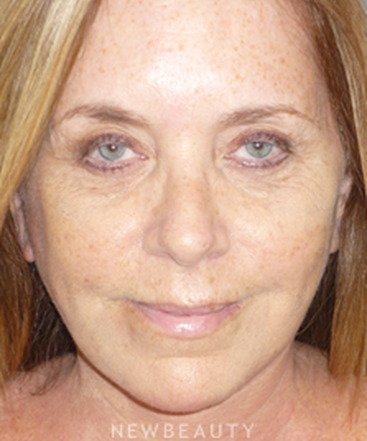 I prefer hyaluronic acid filler injections to the tear troughs to correct orbital volume loss. 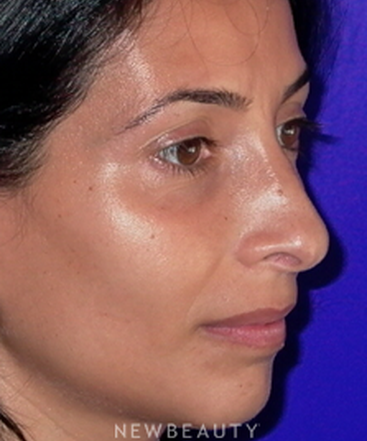 It may appear like a loss of volume only because the point of injections is probably swollen and distorting the anatomy. Once the swelling subsides (in 2 weeks), this should normalize. It is preferable to seek treatment by an MD, and not just any MD, but a board certified plastic surgeon, board certified facial plastic surgeon, or board certified dermatologist. One should never bargain shop, especially when it comes to facial surgery. You can hide anything else, but you can't your face if you are not pleased with the results. Most importantly, entrust your care to someone who is highly trained and highly skilled with an artistic eye. Post-surgical downtime is average 2 weeks before going back to work. 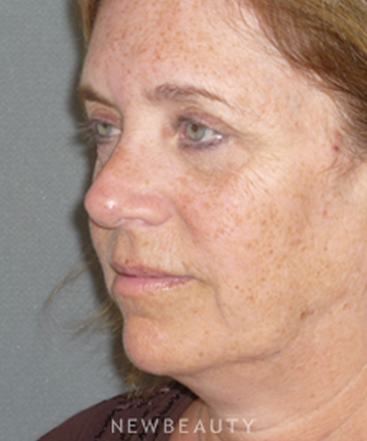 Chemical peels and lasers are both good for addressing texture and tone of skin, thereby reducing wrinkles. 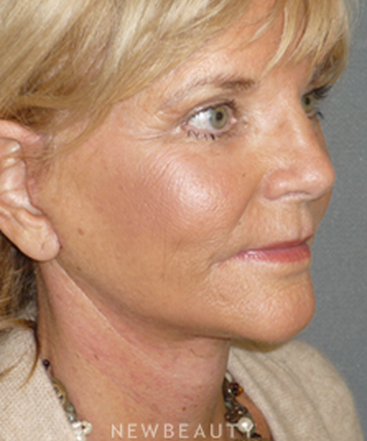 I happen to prefer laser for skin resurfacing as I find it more precise.